← Accursed or Innocent? Lordship “Salvation” Teachers. With the sudden tragic death of Whitney Houston, Christians across the Christian magazines, TV programs and internet sites are asking the question, “Did Whitney Houston know the Lord?” Of course, this is the most important question, one for which this commenter does not have the answer. Speculations are swirling on the question. What we do know, however, is that she was raised in a Christian church, and by many reports, she had a devoted Christian mother. If she trusted Christ as her Savior in her youth by faith in him alone, then John 10:27-30 promises us that God will never let go of her. She cut her artistic teeth singing gospel hymns in the church choir. And, in spite of her oft-troubled life, she continued to sing gospel songs into her adulthood. This entry was posted in Assurance, Assurance of salvation, Calvinism, Christian, Christianity, Conservative, Cross, Eternal Security, Faith, Free Grace, Grace, Hope, John MacArthur, John Piper, Lordship Salvation, Once saved always saved, Reformed theology, Religion, Resurrection, Salvation, Secure salvation, Security of believers, Security of the believer, Thansgiving, Uncategorized. Bookmark the permalink. Bruce, I wish these were my comments, but I pirated them from Ron Shea. That said, I agree with your answer! q You can be sure that you have truly been saved if you heard the gospel and believed it. This truth of the gospel is so straightforward, so basic. I know that you intended this choice to be obvious, but, sadly, for many it is not. The other three choices are favorites of Lordship Faith teachers and their followers. I wonder what the Lordship camp would say about the saved thief on the cross. How was he supposed to complete categories 1-3? One does not go to heaven or hell based on how she behaves. One goes to heaven if she ever believed in Christ alone. I thought of salvation as a trade until a little more than a year ago, when I learned that it was a Gift from God, based solely on faith in Christ alone. Grace is marvelous! Grace is good news! LS is a satanic lie. I often go to the Clear Gospel Campaign website to find well-articulated comments on this matter. “The Doctrine of Assurance is rather straight forward. It can be explained in a simple question: If you died tonight, do you know with absolute certainty where you will spend eternity? q You can be sure that you have truly been saved if your life begins to change, showing that God has really come into your life. q You can be sure that you have truly been saved if you bear the fruit of good works. q You can be sure that you have truly been saved if many years from now you are still walking with Christ. I think that Whitney’s case is a classic case of what lordship salvationists would say: she is not in heaven because of her lifestyle. You bring up some appropriate concerns about Ms. Houston in regard to the reality of her conversion experience. As stated in the opening, only God knows for sure about that issue. You spoke of the importance of fruit in a believer’s life and you also acknowledged that it has nothing to do with earning one’s salvation. Agreed—there should be fruit in a believer’s life (Ephesians 2:10 acknowledges this); yes, there should be, there ought to be visible fruit in the life of a true believer. It is the proper and right way to live. It is pleasing to God and the appropriate way to live before men; however, the alternative is not necessarily the case. A true “bloodbought” believer MAY NOT display visible fruit before men and women or she may do so sporadically. Biblical examples of such believers as “Lot” and “Samson” abound. You quoted Matthew 7:20-21; both of those verses, in context (Matthew 7:15-23), refer to false prophets, giving tests for recognizing false prophets; they are not for judging who is saved or lost. The Bible talks about the importance of fruit in the life of a Christian. There should be evidence in our lives. This has nothing to do with earning one’s salvation. How the Gospel is presented is key. Easy believism will result in false confessions. Again, this does not promote LS. Ms. Houston was caught up in fame and fortune. Yes, there were times when she seemed to acknowledge God, but what Jesus and what God were they? Only God knows for sure. But it is sad that Ms. Houston left a legacy of destruction for her daughter who is left with a legacy of self-destruction and a father who is of no help. Christians are supposed to be separate and distinguishable from the world. We are to be salt and light. We are to share the Gospel. The Bible is very clear about this. Certainly people can backslide, and the Lord never lets them go. And there is a sin unto death when the Lord takes a child home prematurely. And another thing. The Lord chastens His own. If there is sin without some kind of chastening, that is a sign that the person is not born-again and indwelt with the Holy Spirit. 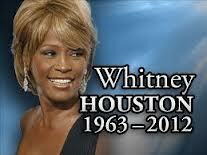 What I see as disturbing is the idolization of Ms. Houston, a kind of worship that only God is worthy of receiving. If one watched the funeral service, it is evident that there was much ado about loving God and such, but little substance. We are to honor God above all. I am sorry for her mother who tried her best to rescue Ms. Houston on a number of occasions and now she is left with the task of keeping her granddaughter from meeting the same fate. Excellent comments on eternal security. And I especially liked the Reid quote; I had never heard it before. Bruce, this was a great idea for a post, because it advances the discussion of salvation by Grace through faith in Christ alone! In the article above, you said: “If she trusted Christ as her Savior in her youth by faith in him alone, then John 10:27-30 promises us that God will never let go of her.” I believe that with all of my heart. I would expand that to include any time during her life. That is, if there was ever a moment in her life when she accepted Christ as her Savior (youth, adulthood, between bouts of destructive behavior, or on her death bed), then God will never let go of her. I join you, Jack, Jimmy and others in emphatically declaring that we are saved by Grace through faith in Christ alone. Our behavior is never at issue in the matter of salvation from sin’s penalty. When I was in college, I went to see a famous evangelist at my boyhood SBC/LS church. He talked about a funeral at which the decedent’s life story could be told by setting a bottle of booze on the casket. He mockingly said “but, he was saved when he was in the fourth grade.” I can still see his mocking face. This guy clearly thought you could consult one’s behavior for evidence as to whether or not that person ever believed in Christ. I hope that Whitney Houston was a believer. I hope that LS evangelist is a believer. He did not sound like one the night I heard him speak. Thanks for you kind comments on my article. I’ll have to give some thought to your suggestion about doing some more writing. I enjoy writing, but I really would need some extended time off from my job to be able to tackle such a project. Thanks for sharing the info. about the 2008 Whitney interview. I, too, hope that her belief in Christ was genuine (God knows). —“We should all hold her and her family up in our prayers” [a sweet thought, but there’s no reason to pray for someone who is already gone]. —Here’s one that I hear the most: “Our thoughts and prayers go out to her family at this time” [no, genuine prayers go only to God]. From what we hear her life was no example for anyone to follow. But Paul’s “should” admonition you quote is only to Born again believers.. Unbelievers are not addressed in nor would they understand that verse. Regardless of whether or not she was born again, her life is illustrative of the admonition of Paul that “those who have believed in God should be careful to maintain good works.” Titus 3:8 NKJV (See also Ephesians 2:10). To your article I say, AMEN!!! I’ve saved it to my favorites. What a wonderful job of bringing to light the devastating fall-out from LS teaching. I’ve noticed that of the many victims of LS, the ones who do come free usually do so as a result of someone explaining to them the fall-out (i.e. lack of assurance of salvation, restless introspection, etc.) After having the fall-out delineated (like you did in your article), they then start to see they have indeed been victimized by a grace-killer. Bruce, have you ever considered expanding that article into a book? There are many good books on the false gospel of LS, but few (atleast to my knowledge) that focus primarily on the fall-out…which is critical IMO in bringing these folks back to grace…..or to grace for the first time. Gottcha. Good to hear from you. No worries. Just holding off on sharing things until it becomes crystal clear to me they are truly worth sharing. Oprah Winfrey aired her last interview (2008?) with Whitney Houston, which was a very honest one, I thought. She expressed how during her very troubled marriage and drug addiction she began to return to her Christian roots. There were moments in the interview where I concluded that she was definitely saved, and others wondering if the Jesus she was praying to was the same “Jesus” Oprah presents. Whitney spoke of praying for and receiving His strength to carry her through some very difficult episodes, citing a few bible passages, while Oprah spoke of God’s strength being “channeled” through her. I like to think that they were talking about two different “things”, but it will most likely remain murky this side of heaven. If she was saved, then she is home in His everlasting arms regardless of how she may have grieved His Spirit in her earthly life. I see you’ve changed your blog entrance. Everything ok? The person who has believed on the Son (John 3:36), regardless his/her post-conversion failings, should never question the reality of his/her salvation. The believer’s assurance of salvation is founded upon the Living and written WORD (see 1 Jn. 5:13)…not his works or lack of works. In fact, if the believer uses his works as a basis of assurance…and if he is honest about his post-conversion failings, he WON’T EVER have assurance of salvation. Our Advisary has a hay day with believers who have no assurance. As for the professing unbeliever, yes he should question whether or not he is saved, but his looking to his religious life often gives him false assurance of salvation. Not trying to be redundant, but in short I’d like to know what “evidence” you have in mind that proves one is saved or unsaved. As Jack righly stated, we believers SHOULD walk in good works (Eph. 2:10), but works aren’t the believer’s biblical basis for assurance of salvation, nor should they be used as a litmus test to determine the likelihood/unlikelihood of someone else’s salvation. I assume, then, that you’re thinking of the believer’s justification BEFORE MEN with that statement, yes? Jeremy, Welcome to our Grace discussion web site. Glad to have you visit. Every believer SHOULD walk in good works (Ephesians 2:10) but we should never determine or base our salvation or that of anyone else by our/their works or behavior. Our Christian testimony should reflect God’s Grace as revealed in His Word. I’m not sure what you mean by that statement “authentic.” I would ask, authentic to whom? Our eternity with Jesus is sealed and complete the moment we put our faith in Jesus Christ alone. Our behavior henceforth cannot and will not ever change that. Perhaps I misunderstood you but we must keep in mind that Eternal life IS eternal. Thus we should never infer that anything can ever change that Truth. Thank you for your post. I do believe that Whitney’s life ought to make us all question and examine the reality of our Christian claim (2 Corinthians 13:5). We also must remember, pray through and study Matthew 7:21-23; Hebrews 12:4-17 and 10:26-31. We must remember that a reality of God’s working needs to be on our life if our Christian claim is authentic. As for Whitney’s life, God is not fooled and He will judge righteously and justly. Well, folks — I know very little about Houston but her warbling music I hear repeated over and over on TV is not my kind of music. That said, if she trusted Christ alone as her Savior as has been presumed, that was her wise choice — and, like some born again Christians I know, it was likewise her choice to live her life in a way very demeaning and contrary to the faith she is said to proclaim. If she put her faith in Christ alone as her Savior, that was her decision — likewise, it was her decision to openly live her life contrary to God’s Word. Choices and decisions — That epitomizes God’s Grace. Also, we know from Scripture that the Lord’s perfect discipline is for believers and can take many forms. As a side note, the New Hope Baptist Church of which she is said to have been a member, has a rather clear statement of faith. While not as complete as it could be, it is without a Lordship Probation or “turn-from-sin” salvation message. But, with the church displaying such a picture of her as described by our new friend BloodBought, such is certainly not an advertising that honors their church or the Lord Jesus Christ. I’m glad you shared that video with us. I am saddened by Whitney’s departure. What do you consider a “bonafide confession and conversion”? You also state, “There are many false conversions. I absolutely do not believe in Lordship salvation, but there does need to be a conversion of the heart in order for a valid change to take place. If by this statement you are saying that one must be born-again in order for a change to be the work of the Holy Spirit, then I agree. That said, what criteria would you use in evaluating whether said change was “valid” in your mind? In your understanding of Scripture, can a born-again person live a life barren of good works? Thanks for your comments B-B. You make several salient points. I think that your concerns are justified. I, too, hope that she was saved, and I, also, believe in eternal security. Ultimately, of course, God knows her situation. When I saw the picture that was posted on the church website of Ms. Houston I really had to wonder about how solid the church is. Of all the pictures they have to had at their disposal, they chose one that showed her in an evening gown with her breast overflowing. A church can have all the right doctrines, but it can be window dressing. Only God knows the heart, but we can see the fruit. Her last days were spent in drinking heavily, partying in night clubs. Her God-given voice was ruined by her fast living and smoking. Was she a Christian mother to take her daughter to these parties and introducing her to the same lifestyle that was her downfall? Again, only God knows her heart, but it would seem that she was another casualty of unbridled fame with no grounding. It is sad to see that she finished her course in such a way. It should be a warning to others, but instead she has been made into some kind of idol. I truly hope that she was saved and if she was truly saved early in life, I do believe in eternal security. But it does come back to what one considers a bonafide confession and conversion. There are many false conversions. I absolutely do not believe in Lordship salvation, but there does need to be a conversion of the heart in order for a valid change to take place. I trust that you are blessed by this song and video.